EA’s new Ignite Engine is clearly the future when it comes to next generation sports titles but unfortunately, that experience won’t be finding its way to the PC. The reason, according to EA Sports executive vice president Andrew Wilson, is because a large number of EA sports fans don’t have the necessary hardware needed to power the new engine. News that the engine isn’t coming to PC really shouldn’t be a huge surprise at this point considering FIFA Soccer is the only sports game on the company’s roster released for PC on an annual basis. Unlike other sports titles that are only popular in North America, FIFA remains popular around the globe. It’s an issue that EA has faced before, however. FIFA games released on current generation consoles used a more advanced engine than what was available for the PC from 2005 through 2009. Wilson noted that there were some PCs on the market that could have run the engine but the lion’s share of systems wouldn’t have been up to the task. 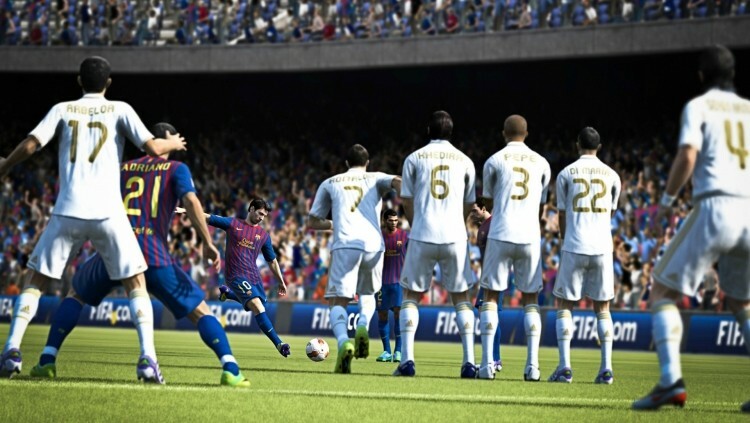 FIFA 11 was the first PC release that used console-level technology to boost graphics and animation. Even if gamers did have beefy enough hardware for the Ignite Engine, it would still be difficult to port to the PC because the engine was built for console architecture. Wilson said it has to do with how the CPU, GPU and RAM work together in a special type of environment. It’s also worth pointing out that the Wii U will not receive the Ignite Engine treatment either – again, not a big surprise considering Madden won’t be released on Nintendo’s latest console this year either.